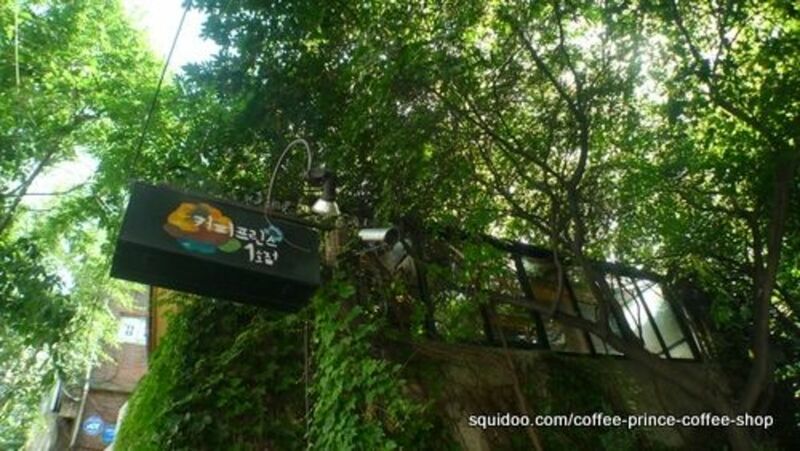 Have a cuppa at the real cafe where the K-drama series was filmed! 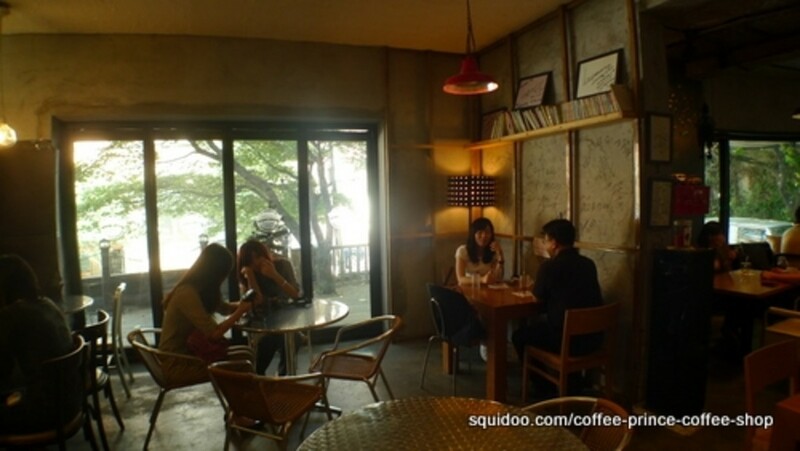 If you've watched the Korean love drama series The 1st Shop of Coffee Prince, I'm sure you'd like to visit the coffee shop in that was used as their filming location. 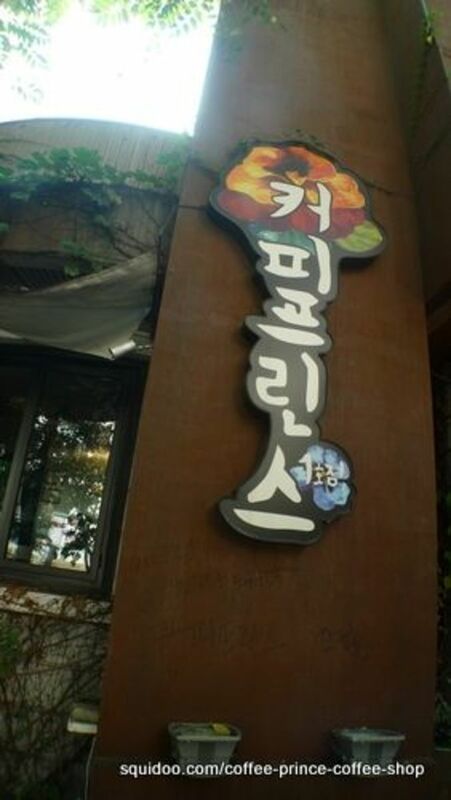 That's right, there's a real Coffee Prince Cafe in Seoul! I'm a big fan of the K-drama TV series too so on a recent trip to South Korea, I made it a point to visit the Coffee Prince Coffee Shop. If you'd like to learn more about the cafe as well as hear about our experience there, please read on. 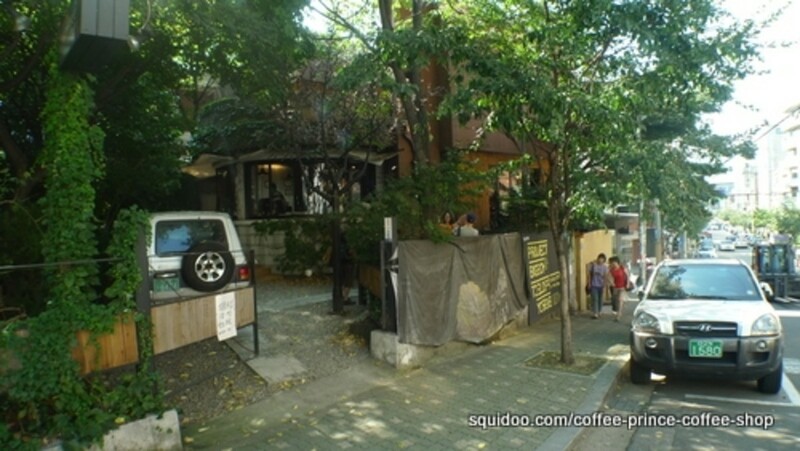 All About The Coffee Prince Coffee Shop - What's so special about this popular Korean drama tourist attraction. 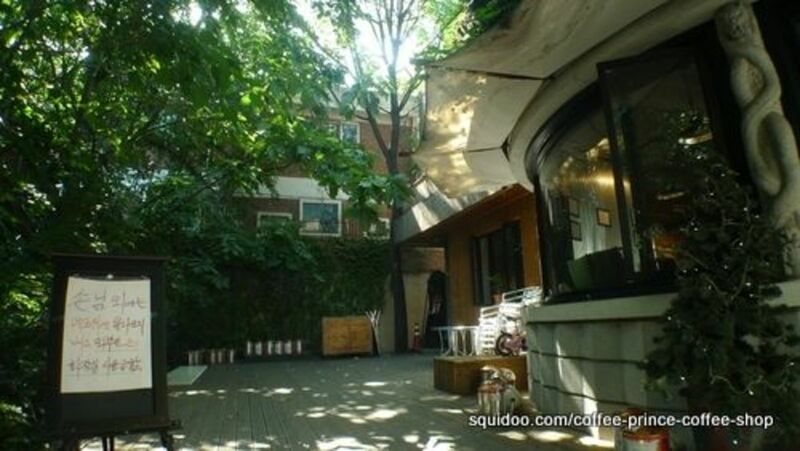 The Coffee Prince Coffee Shop as we now know it was originally a nondescript cafe near Hongik University in Seoul called "Fruit Garden Mama". Betcha didn't know that! 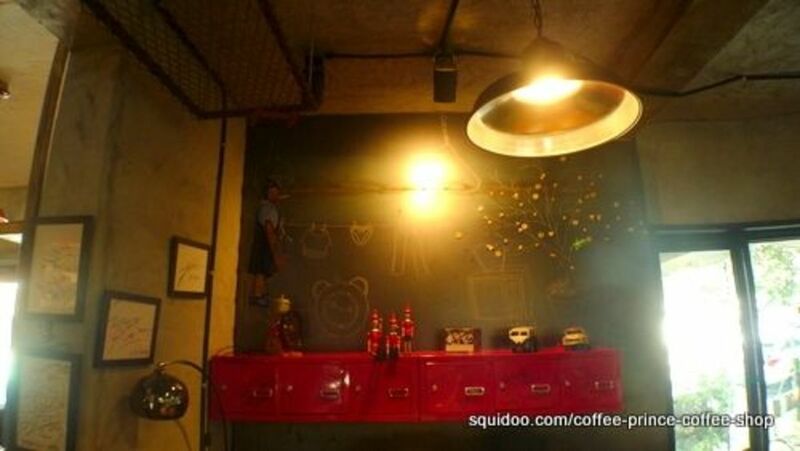 When production for The 1st Shop of Coffee Prince TV series began, the director chose this coffee house as the main location for the Kdrama and had it remodeled. 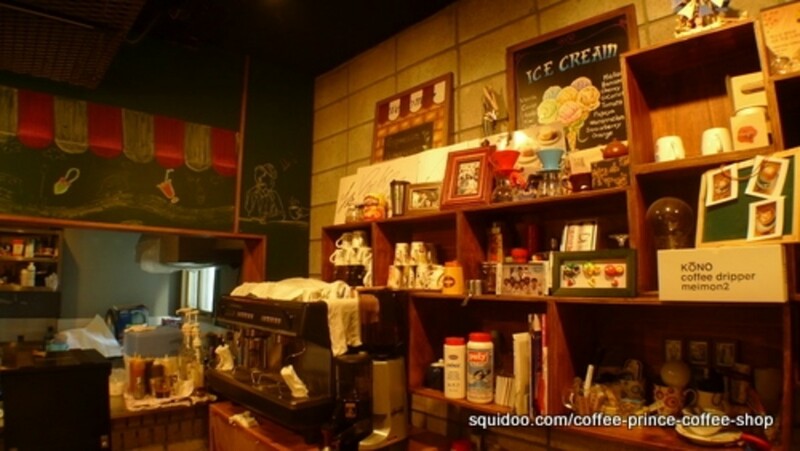 The show became very popular not only in Korea but also all over Asia that when the series ended, the coffee shop's owner decided to retain the illustrations on the walls and windows, keep the new layout and use "The 1st Shop of Coffee Prince" as the shop name. If you're a true fan of Coffee Prince, you will surely enjoy visiting the place and reliving Han Kyul and Eun Chan's love story. This behind-the-scenes video of the Coffee Prince poster shoot shows some footage of the shop while it was still being renovated. Press play and enjoy! 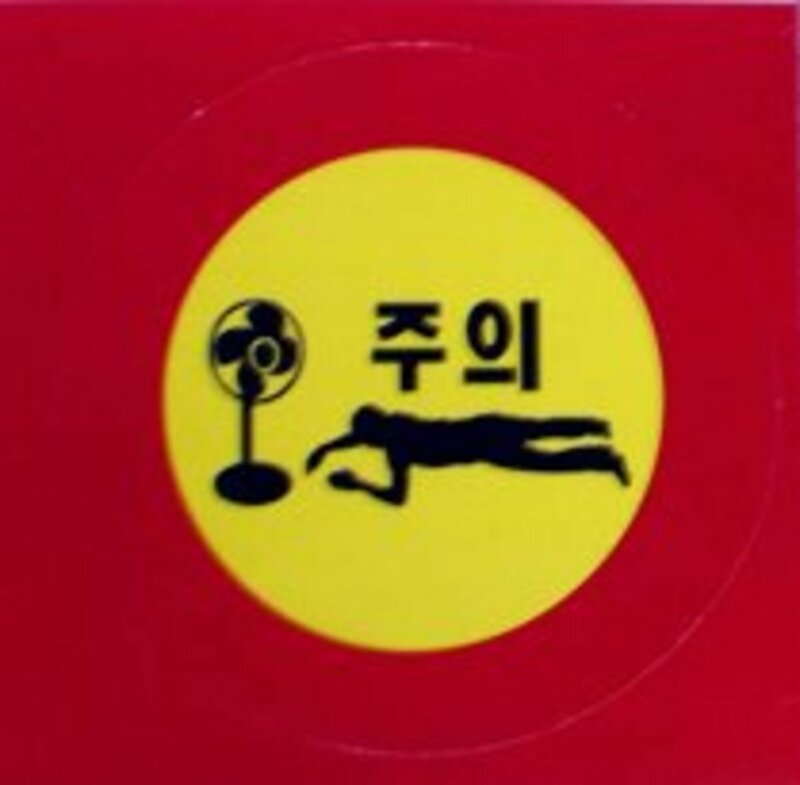 The signage as seen in the K-drama series. A shot of the shop's facade taken from the side. Exterior shot of the cafe. 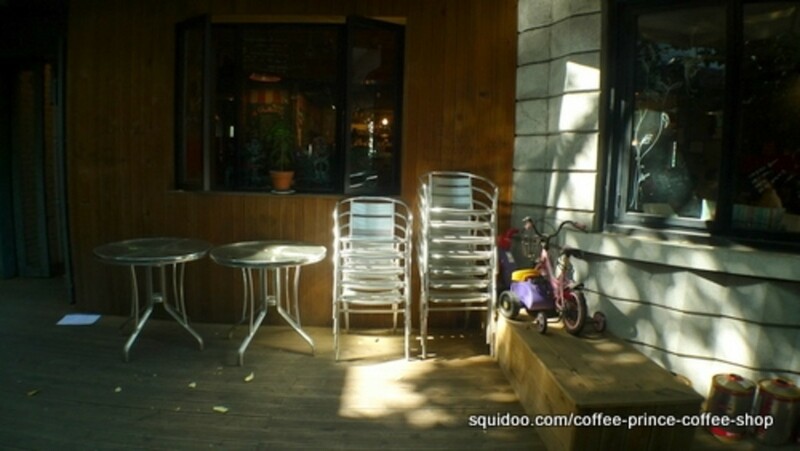 Spare chairs and tables outside the coffee shop. 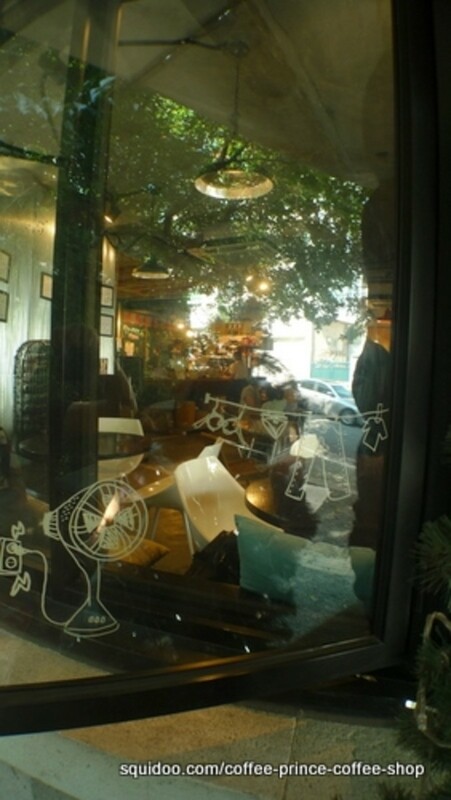 Actress Yoon Eun-Hye's drawings on the windows. 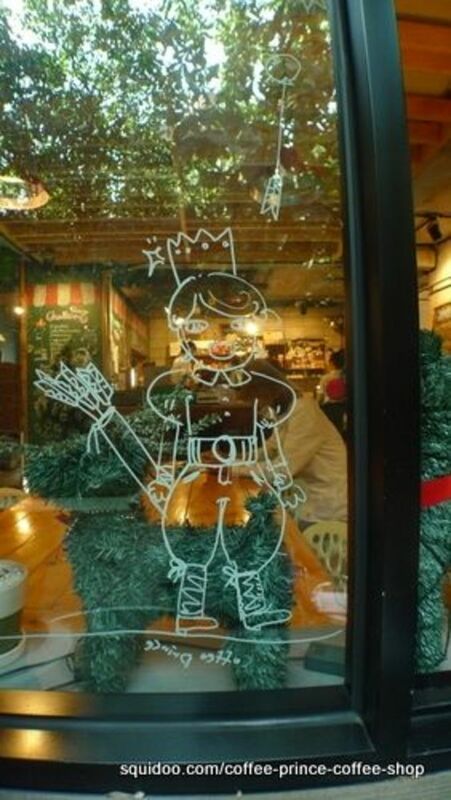 A close-up shot of Eun-hye's drawing of a "Coffee Prince"
More doodles on the window. Another shot of the glass window from outside. A clearer look at the signage on the store's facade. A wide shot of the Coffee Prince Cafe. Our Coffee Prince Coffee Shop Experience - What we saw, what we did. 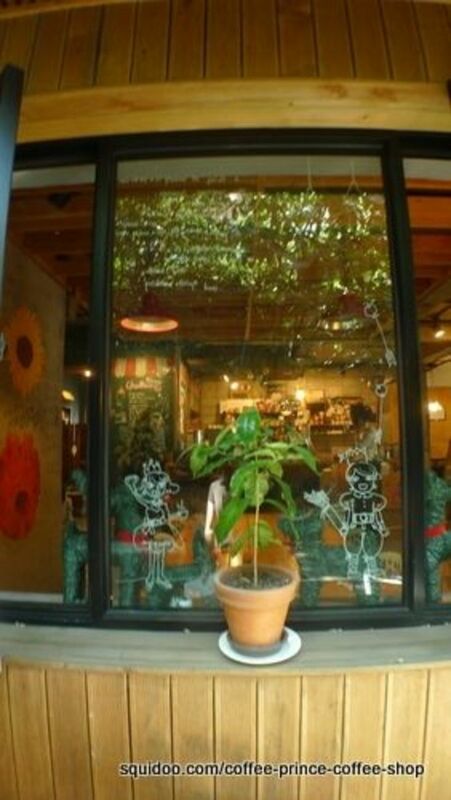 When my husband and I visited the shop in Hongdae, we were happy to find the painting of sunflowers by Han Yoo-Joo on the wall, Go Eun-Chan's doodles on the glass windows, and almost every prop that you can find in the drama. Coffee Prince photos, t-shirts, and other fan merchandise are on display for sale by the bar. I wish we could have seen the actual cast members working there but instead we were served by a couple of young male and female baristas, possibly students at the nearby University. They were friendly and game enough to pose for pics but of course, nothing beats seeing Eun Chan, Han Kyul and the rest of the TV series characters working behind the bar. There are framed autographs by the cast members hanging on the walls - I guess that's as close as we can get to actually seeing them in person. My husband ordered Hot Cocoa and I got a Green Tea Latte. They tasted alright, there's nothing spectacular about them, but as expected they were a bit on the steep side. We paid KRW 7,000 (equivalent to around US$ 6) for the latte and KRW 6,500 (equivalent to around US$ 5.65) for the small cup of cocoa but then we figured we don't get to set foot on Seoul a.k.a. K-drama land on a regular basis anyway. I expected to see Korean tourists there since Coffee Prince has a large fan base in its home country but I was surprised to see American and Japanese tourists taking photos under the signage with their trademark peace ("V") signs. That was when I realized that Coffee Prince and Korean love dramas in general have really made it into the world market. Awesome. 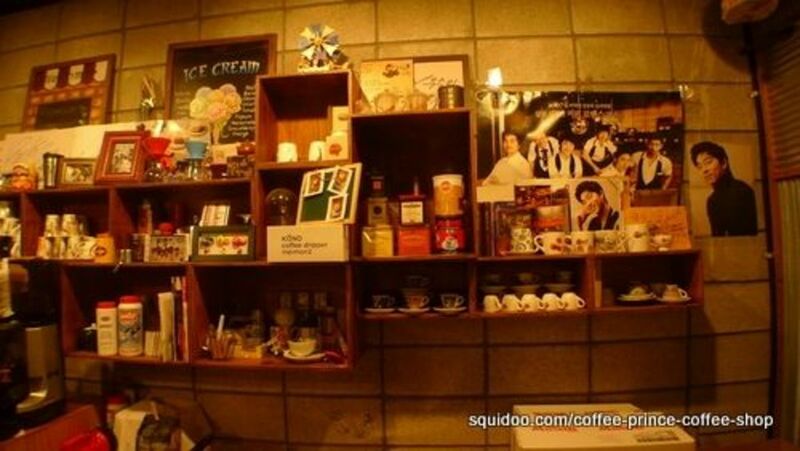 Inside the Coffee Prince Coffee Shop - What you will find inside the popular cafe. 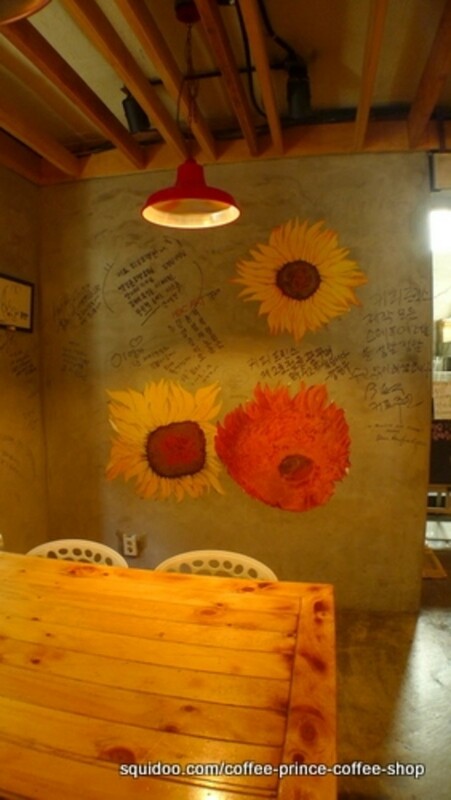 Han Yoo Joo's sunflower mural. 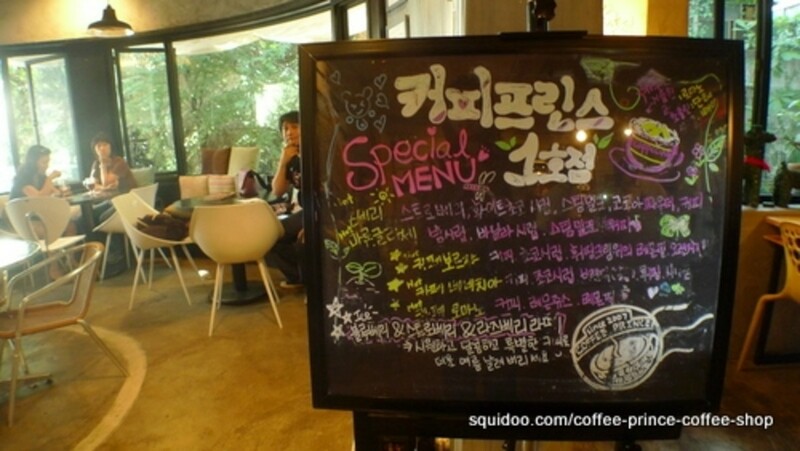 The real cafe menu and price list. Fancy coffee drinks and snack items are available. Chalk drawings, framed autographs and toys. You can buy Coffee Prince drama merchandise. Another view of the Coffee Prince merchandise for sale. The menu as seen in the Korean drama. Please note that these food items aren't available at the cafe. 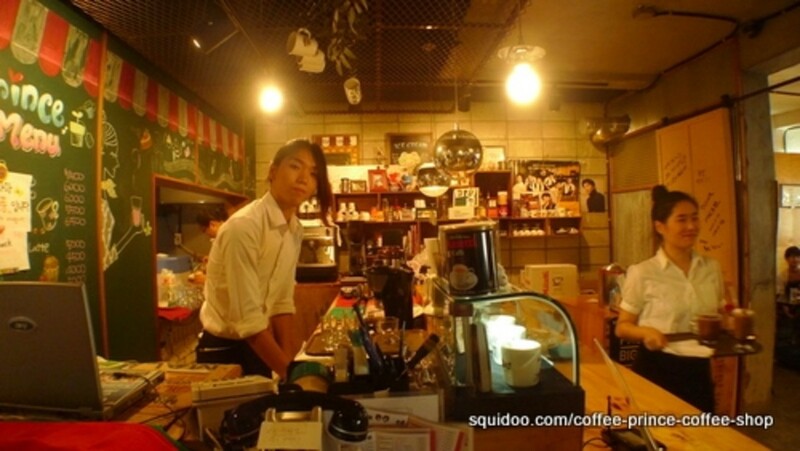 A long-haired barista. Sun-ki, is that you? Chalk art and product list. 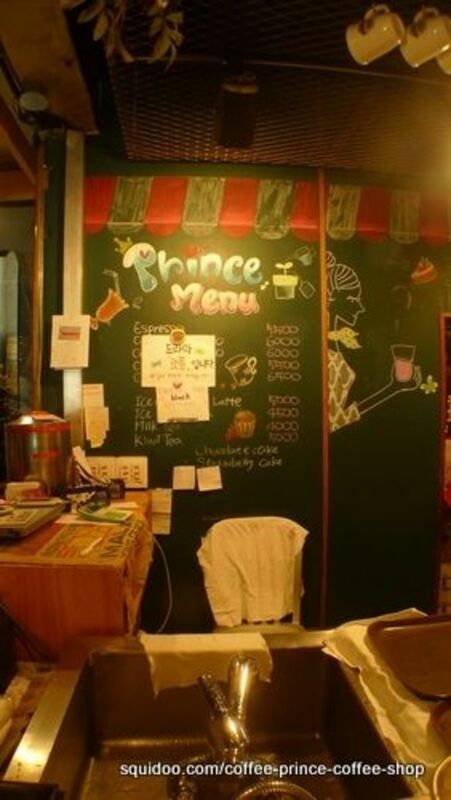 Go on a video tour of The Coffee Prince Cafe - See what's brewing inside the coffee house. 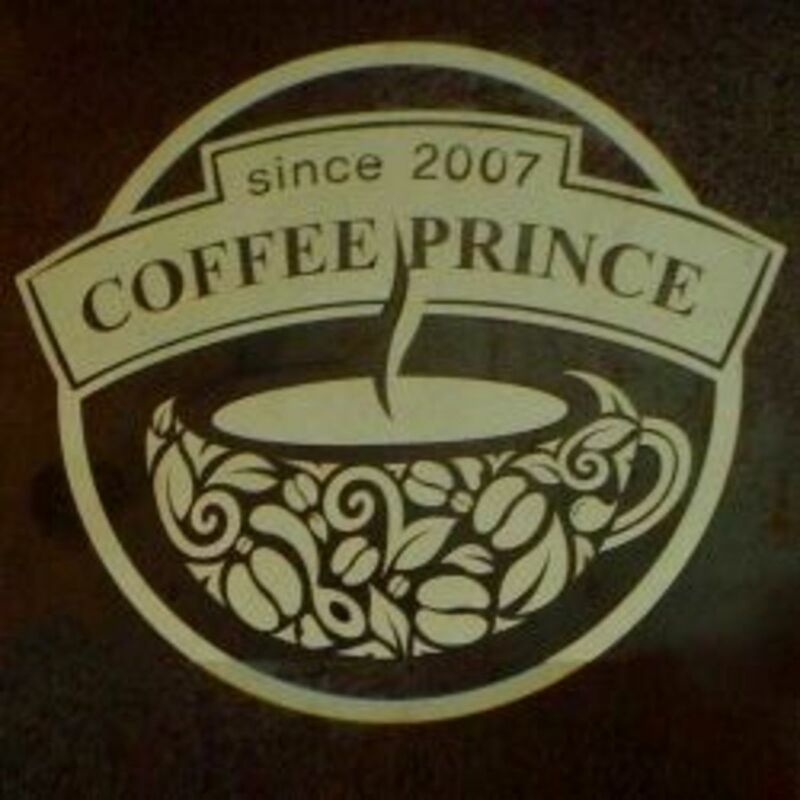 Here's a first-person video account of the interiors of the Coffee Prince coffee shop. Press play and enjoy! 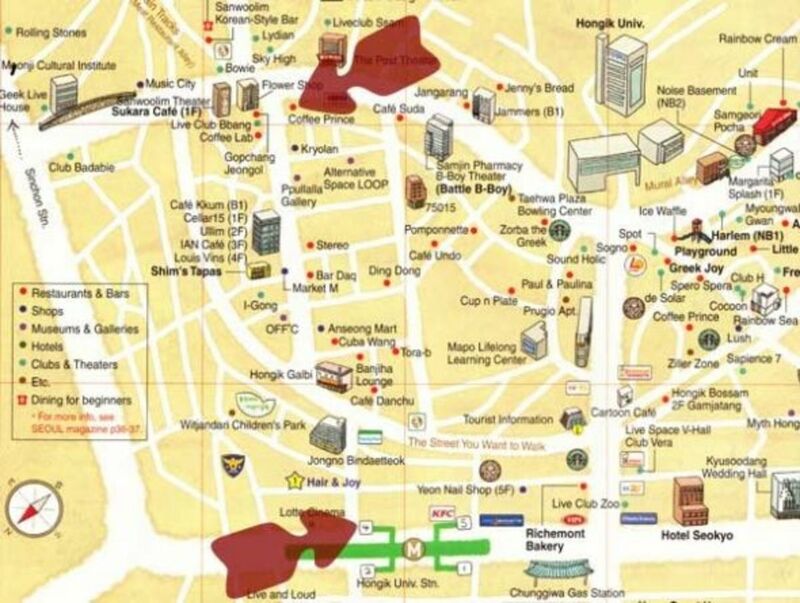 How to get to the Coffee Prince Coffee Shop - A map of the Hongdae area plus directions. 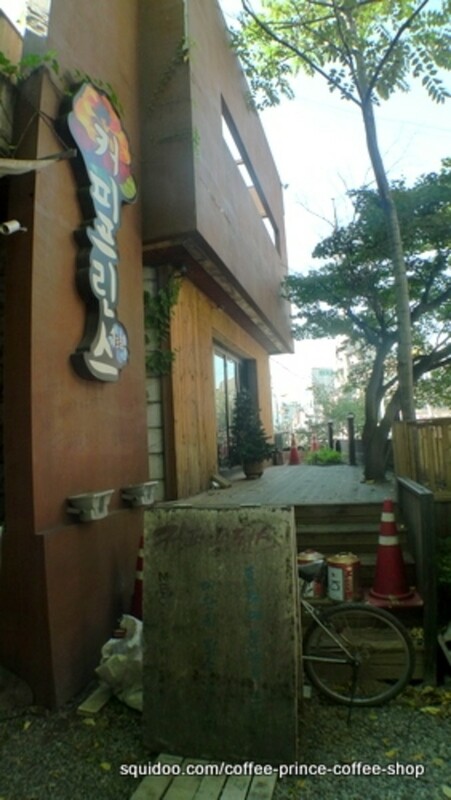 The original* Coffee Prince Cafe that was used as a filming location is in the Hongdae area in Seoul, Korea. It's worth visiting especially if you're a fan of the Korean drama series. Here now are the directions to the coffee house, see the map above for reference. 1. Take subway Line 2 to Hongik University station. It's marked in green on the map. 2. Go out through Exit 4. 3. Turn right at Seven Springs corner. Walk for around two blocks. 4. When you reach the end of the road, turn left. 6. Walk straight for about 500 meters, the street will go uphill midway. At the end of the road you will find the coffee shop on the right side. Keep your eyes peeled because the shop is surrounded by trees. 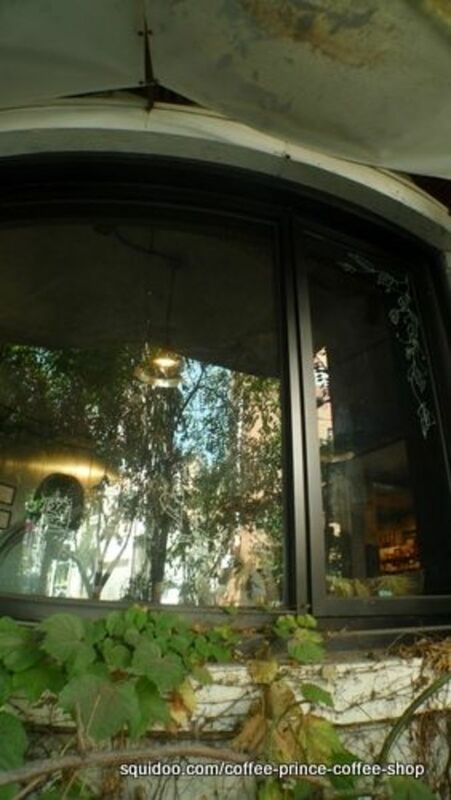 *I say "original" because there is another Coffee Prince cafe shop that was built by MBC Studios in the Hongik area called the "Tiramisu Coffee Prince Shop". You can see it on the right side of the map. For more information, visit Coffee Prince Korea. Let me know by answering the poll below. 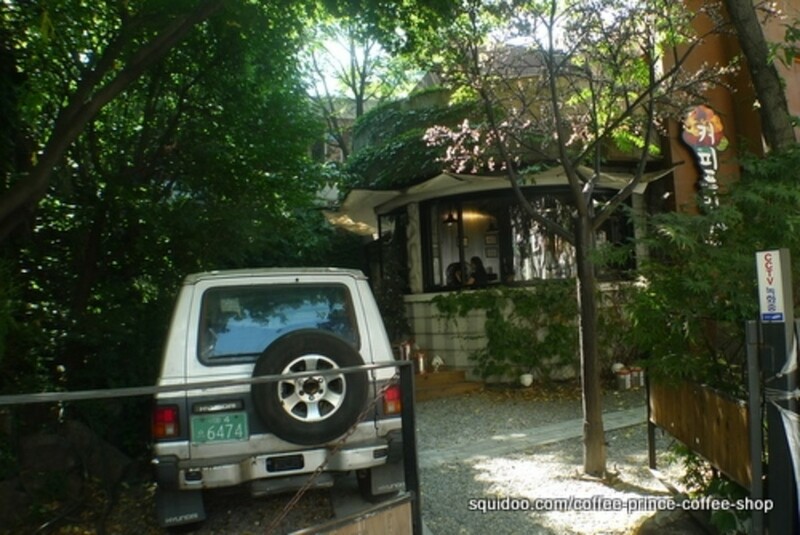 Do you plan on visiting the Coffee Prince Cafe in Seoul anytime soon? 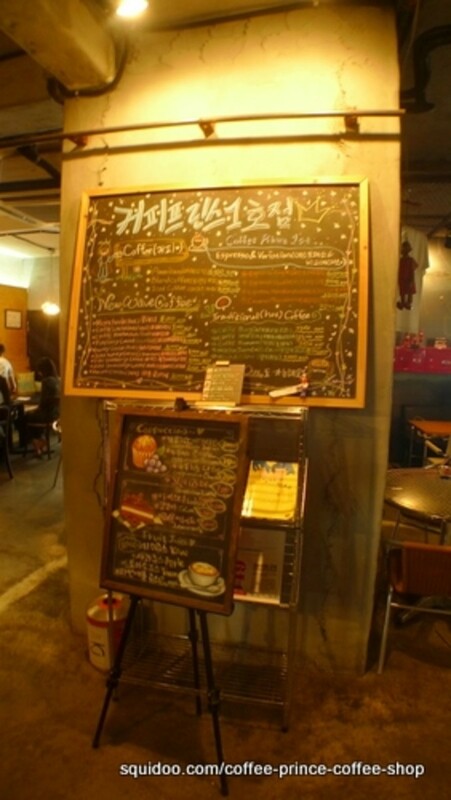 I love the series so the Coffee Prince Coffee House is definitely on my itinerary! I've seen the series but I don't plan to visit the cafe. I haven't seen the TV show but the shop looks like an interesting place to visit. Never seen the show, not planning to visit the cafe either. What? You've never seen Coffee Prince? - Get a copy of the DVD set with English subtitles. Based on a romantic comedy manhwa (comic) by writer Lee Sun Mi. 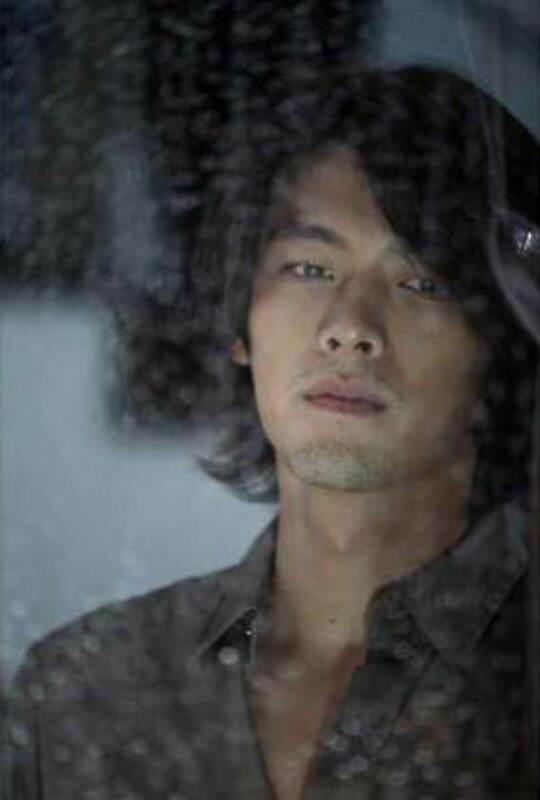 Go Eun Chan disguises herself as a man so she can work in a coffee shop where all the baristas are male. Click on the link to go back to the Top Rated Asian Dramas Lensography. 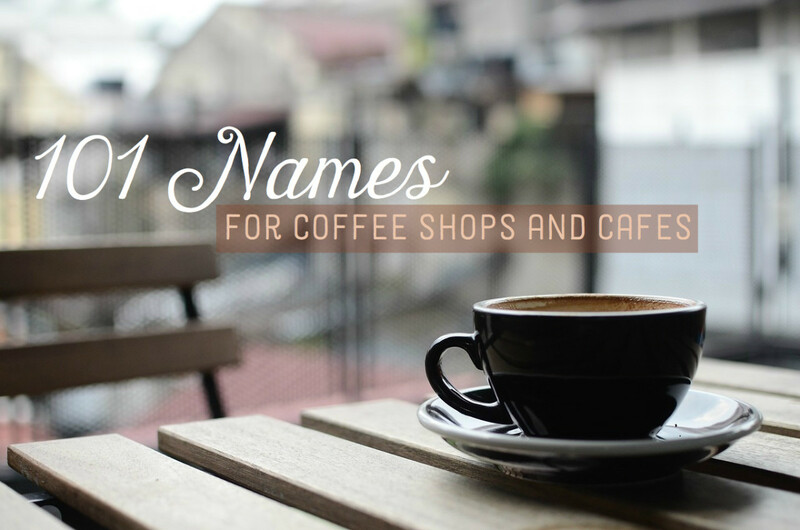 Please share your experience at the cafe here! I'd love to hear your thoughts on this page too. 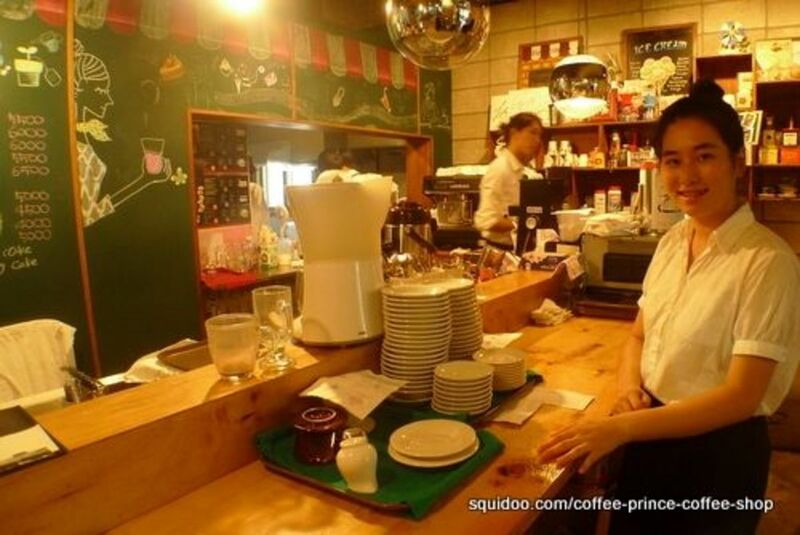 Have you been to the Coffee Prince Coffee House in Seoul? 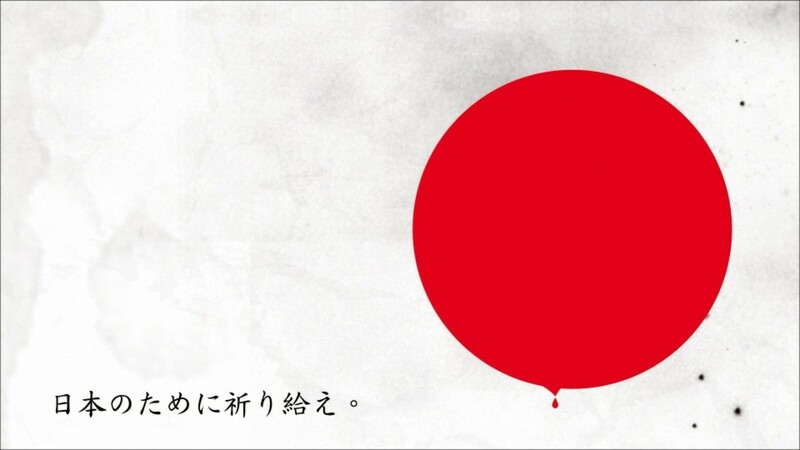 - Or are you planning to visit anytime soon? Aside from the scandal with Mbc a lot of the people from that area only take pictures of the outside due to the high costs and the rude owner who will try to charge you for pictures especially if you aren't Korean. My statement is go to any other coffee shop in Korea. There are a lot because we love coffee apparently, I mean love it. 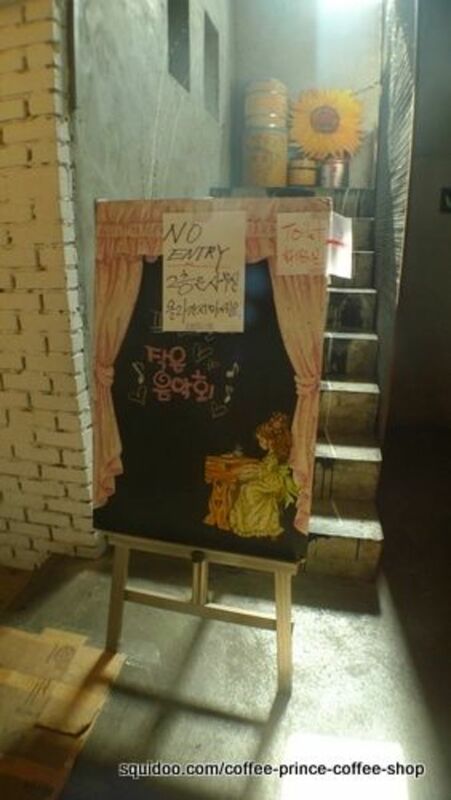 While the show was cute and happy, the shop itself is not and if you ask any Korean in the area they will tell you not to go. Just went there today, the place was empty except for one other tourist and a local. The place itself was lovely and cosy, we were served by an old gentleman who spoke great english. the prices were fine considering comparing amount to what we would pay in london, it was very peaceful and quiet. we put our phones away before we went in, the old gentleman came out pretty quick but was friendly. We ordered our coffee and desserts first before taking pictures, the old gentleman was more than happy to take our picture for us! If your planning to come here, don't be put off by the reviews, you will enjoy it here!!! you mean when 1st shop coffee prince acted, that is the original shop? Looks exactly the same! @anonymous: My tears started to fall after reading your comment.I will be visiting Korea next week with my husband.I was planning to visit this shop. What should I do now? Can't visit, but would love a coffee cup. Does anyone know where I can get a Coffee Prince cup in the U.S or online? The manager was in a scandal a few years ago because he was charging tourists extra to take photos and order food and when MBC found out they stopped supporting the shop. You can even ask near by shop owners. They'll tell you that they don't do business with that place because the manager is mean. Now the doesn't allow videos or pictures and if you try to speak with the manager he'll be rude annoyed by you and might even shoo you away with his hand. The food is over priced and the place is filthy. If you love the drama going there will ruin what you loved about it. I live in Seoul and have yet to visit this place. I will plan on it, thanks for the article! I didn't know it was an actual shop. If I ever get to go to Seoul I am definitely going to visit it! Going tomorrow. Does any one know what hours it is open? Never been there but this lens has made me wishing to go in the future. If I ever go to Seoul, I will for sure include Coffee Prince. Cool site...I've added it to my site "Everything South Korea."